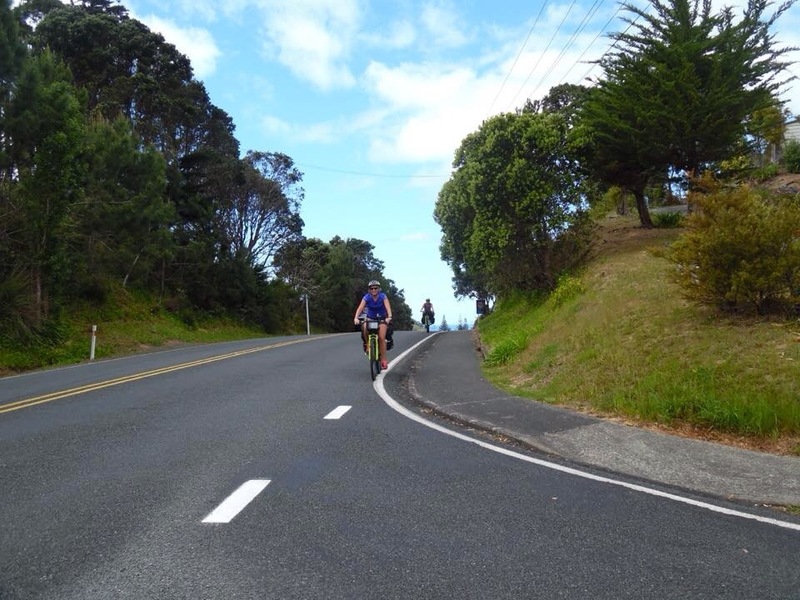 Distance cycled: too far! Maybe 60km? Our day started well. The blue sky promised an excellent reward for our 7:45 set off and we were passing beautiful scenery. Upon reaching highway 1 which we had planned to avoid, we realised we had taken a wrong turn and had been heading east not south. As well as the 10km+ extension! we now had highway to contend with for the next frustrating 17km to Wellsford. Turning onto the road from Wellsford, Alice was hankering for an ice cream and we agreed that we would make a stop at the next town, of which it looked like we would pass through 3 in the next 33km to Leigh. The first one never materialised, and by the time we were 15km along we began to wonder if the map was lying. These settlements were so small they gave no indication they even existed. So it went on and on, the determined cogs saying “nearly there, just over this hill, just around this bend.” We had a long downhill and it felt like a triumphant end. But it wasn’t the end. The road became unsealed and began to climb, and climb, and turn to hide the fact that it just climbed on and on and on. Alice and I were apart at this point so both separate, we were driven to delusion, unable to imagine the end of such a hell. It must have been a strange sensation for the others when we pulled up at the Bach rather defeated. A cider and a few rolls did the job at perking us up and we shared ghost stories as it was Halloween. 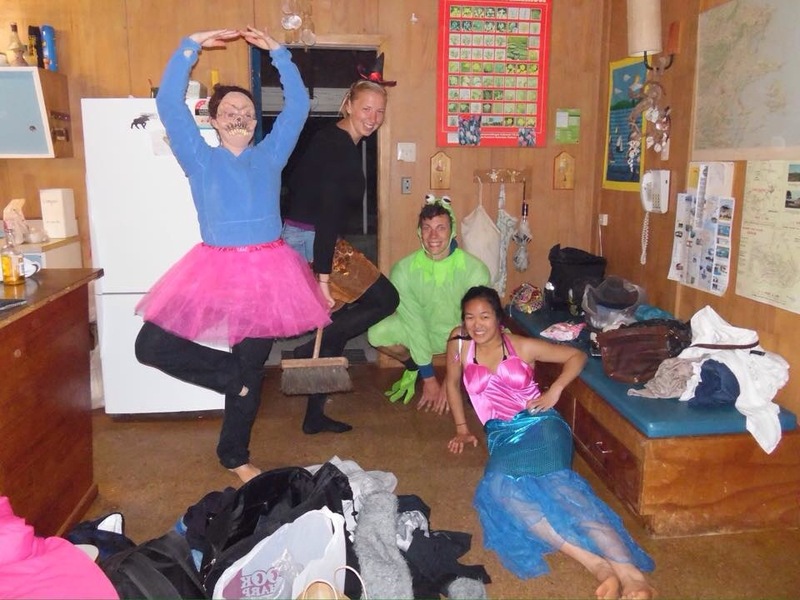 We had also organised a Halloween night dive at Goat Island which took up our afternoon and evening. Despite trying to go ahead with this, the conditions were just not right and we abandoned the dive, not before seeing a large stingray underfoot. Back at the Bach, we made some mulled wine to warm up and at Alice’s and my request, dinner was a large selection of veggies followed by some homemade pecan pie and more ghost tales! 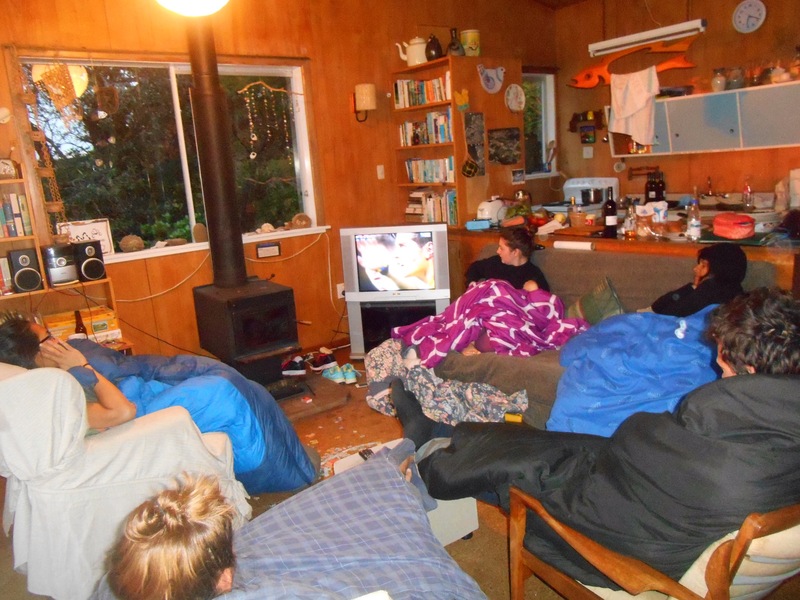 We woke up just after 5am to watch the rugby final. After an all black victory we celebrated with three rounds of breakfast and proceeded to get ready, pack up and still be at the coffee shop by mid morning. 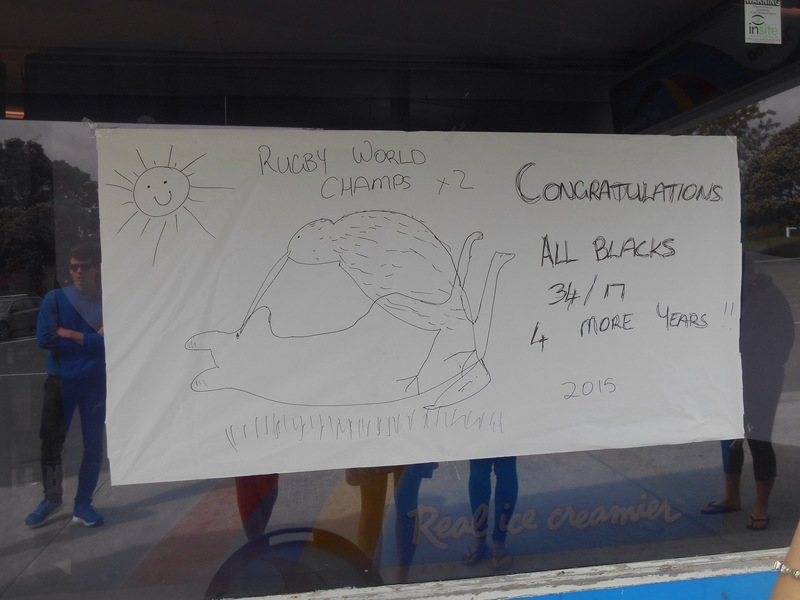 The kiwi humour regarding the Aussie defeat was on form and there was some great signs about. We whiled away the day in the garden in the sunshine. The view out to the ocean was beautiful and the grass covered in daisy’s and buttercups. We walked through the village for a sunny lunch, but all too soon it was time to say goodbye. The climb from Leigh was steep and the car full of friends waved us on. We made our way to Warkworth where the bus would pick us up the next day. On arrival though we were faced with a dilemma about where to sleep, no hostels, no camp grounds, no free camping allowed. As we had resigned ourselves to retrace our steps to Snells Beach, something which we do not do, we found a long stay accommodation who allowed us to pitch up in their garden. 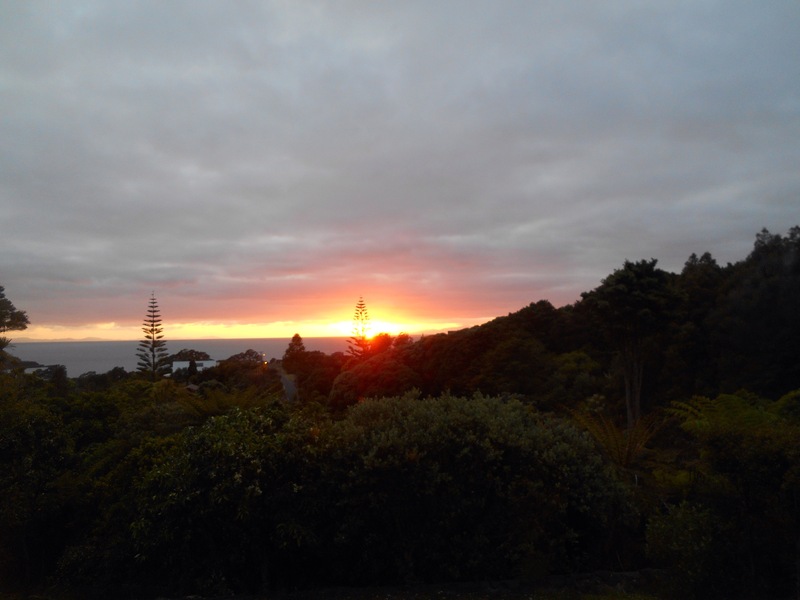 We were up early for our ride to auckland. 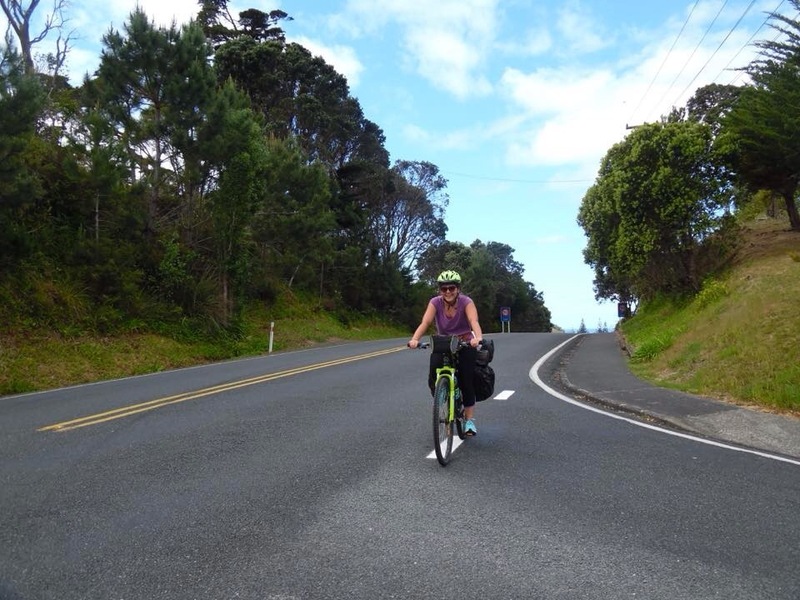 In our transfer hour we managed to call in to bike barn and bombard them with queries, and stock up on groceries, returning to the station for our journey to Rotorua. 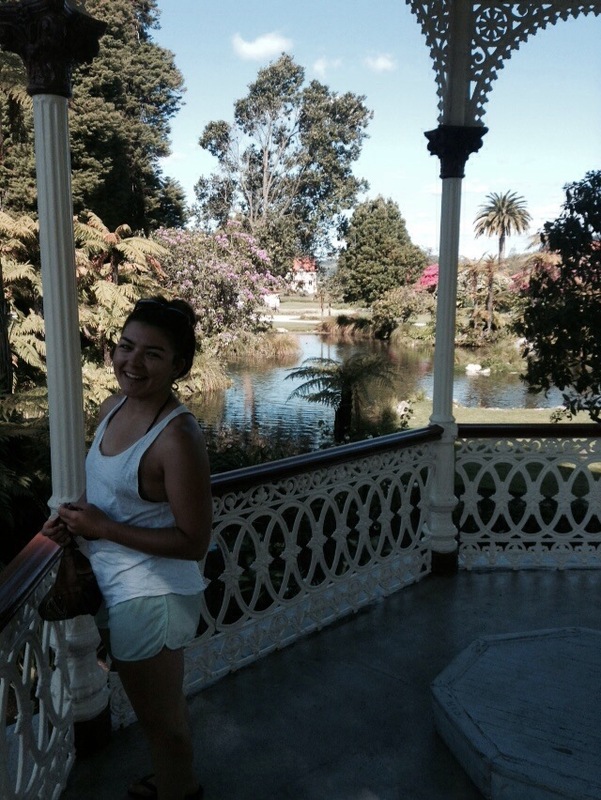 The bus was roasting and difficult to relax but we pulled up in sunny Rotorua early afternoon. The place was magical, hot pools and steam coming from drains and rocks. The lava here close enough to the surface to breach the surface and create fascinating areas but also a very eggy smell. 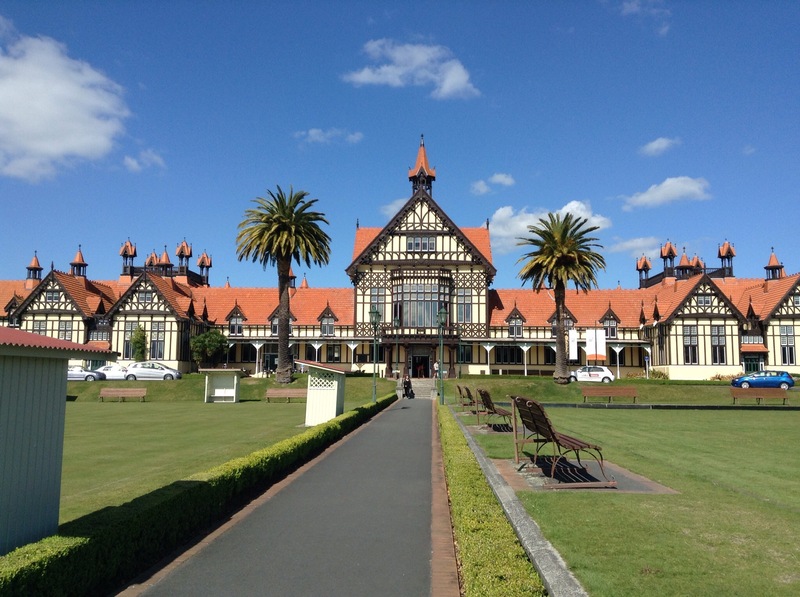 We explored the manicured government gardens, admiring the perfectly pruned flower beds, ponds and estate which was interspersed with bubbling pools and clouds of steam. 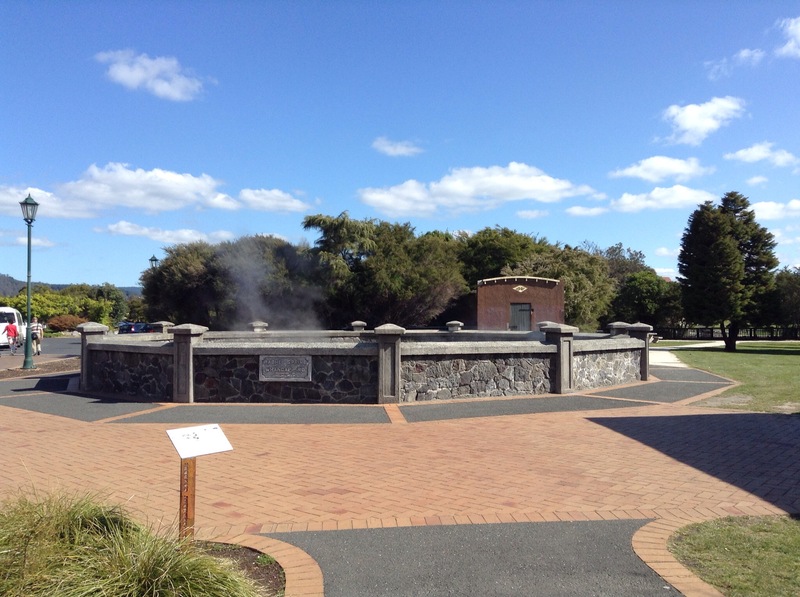 The gardens also sit on the edge of Lake Rotorua, a calm waters surrounded by mountains, fragrant of the Rotorua Purfume. After exploring we made our way to the town centre, filled with boutique shops, arty statues and a little dining area where we had a gorgeous meal. As the night drew in the dusk was cold and we were pleased that our hostel had a thermal pool where we could enjoy 38 degree waters.